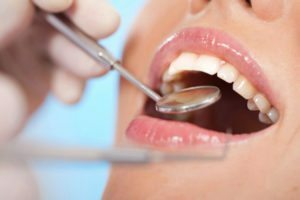 The post Gum Disease Linked to the Development of Diabetes appeared first on Newberg Family Dental | Jennifer McLeod, DMD. You don’t need to be a local dentist in Newberg to understand that our oral health plays a significant role in determining our overall health. In recent years, a growing amount of research has found compelling associations that link common oral health problems like tooth decay and gum disease to an increased risk for such chronic health problems at heart disease, dementia, arthritis and cancer. While researchers continue to explore what connects our oral health to these types of systemic diseases, there’s one connection that’s become pretty clear – the link between gum disease and diabetes. Visit your local dentist in Newberg at least twice a year. If you have any questions about the connection between gum disease and diabetes, make sure to ask Dr. McLeod during your next visit to Newberg Family Dental. The post The Surprising Impact Everyday Lifestyle Choices Can Have On Oral Health appeared first on Newberg Family Dental | Jennifer McLeod, DMD. Most patients have received tips on how to maintain and improve their oral health from a dentist over the years, so perhaps you might think that you know it all. For example, you probably know that regular flossing and brushing twice a day will help in the fight of tooth decay. But here at Newberg Family Dental , your best choice for dentistry in Newberg, Oregon , we want our patients to have all the up-to-date facts and information possible. Many of the daily lifestyle choices we make can have a lasting impact on the longevity of our teeth and gums, beyond just making sure that we are brushing and flossing everyday. The recommendations and important information provided by the American Dental Association shines new light on the possible changes that affect oral health and the support for things you already know. The ADA still recommends brushing twice a day, but they also believe that patients should use a fluoride toothpaste, especially children and teens. Studies have shown that the use of fluoride toothpaste significantly reduced dental carries from 31% to 16% with regular use. Fluoride toothpaste is available over-the-counter and also with a prescription if patients are at a higher risk for cavities and oral health issues. Prescription strength toothpaste has a much higher fluoride count to offer additional protection against cavities and decay. The ADA also recommends taking your time when brushing to better ensure you clean all of those hard to reach areas of the mouth. By spending at least two minutes thoroughly cleaning each time you brush, you can greatly reduce the risk for dental carries, plaque and gingivitis. Unfortunately, most people only brush for about one minute, a quarter amount of the time recommended by the ADA (two minutes in the morning and again before bed), brushing daily. To give your teeth the attention they deserve, you need to spend the right amount of time brushing everyday. By dividing up the two minute into thirty second intervals per quadrant (each section of teeth) inside the mouth you can help protect your teeth and smile from the effects of decay. Of course there are some areas of the mouth a tooth brush cannot reach, such as between our teeth and below the gum line. Food and bacteria from inside the mouth can build during the day, so flossing will help to reduce the amount of leftover food and other harmful particles in-between your teeth before the next time you brush. Oral piercings have become a large part of our culture over the years, but what people may not know is how they can greatly affect their oral health. Long-term use of barbell type tongue jewelry inside the mouth can cause receding gums, chipped teeth, and even gum disease. Patients who have oral piercings tend to bite the barbell metal which results in teeth chipping, and the length of the metal stems holding the barbell in place rubs against the mouth, tongue and gums, causing great damage to teeth and oral tissue. We all know that lowering your sugar intake will help reduce the risk of cavities and oral health issues, but sometimes this is easier said than done for many patients. The idea is to avoid foods, beverages and products that contain high levels of artificially added sugar. This means reducing the consumption of items like candy, chocolate, and soda, which can stain teeth and eat away at tooth enamel. One recent study even found that caffeine may alter how we perceive the taste of sugar and may make our sugar cravings even stronger. Newberg Family Dental Will Get You The Care You Need! The ADA also recommends regular visits to your dentist for preventative care exams, x-rays and cleanings to treat and alleviate problems before they happen. Dental Carries are not the only problems patients should worry about, since oral disease is quite common and can be even more serious than many people might believe. Oral cancer and esophageal problems are no joke, so that is why Dr. McLeod and her staff here at Newberg Family Dental has the latest in dental technology and preventative services to diagnose and treat oral health care problems before they happen in the first place. The post Surprising Ways Your Diet Can Contribute to Bad Breath appeared first on Newberg Family Dental | Jennifer McLeod, DMD. You don’t need to be a provider of family dental care in Newberg to know that if you eat a lunch that consists of pickled liverwurst and onions most of your coworkers are going to prefer talking on the phone rather than having any conversations face-to-face. But what are the causes of bad breath that are not directly related to the foul smelling foods we love to eat? Aside from some of the most obvious causes, such as halitosis, dry mouth, and smoking, there are a number of less obvious causes of bad breath. Fortunately, once you identify the cause of your bad breath, you can start taking action to help alleviate the problem. Unfortunately, the solution to your funky problem may require making lifestyle changes, such as your diet. (You also might want to lighten up on the liverwurst.) Here are a few conditions that may be causing some unexpected cases of dragon breath. One of the trendiest diets of 2018, all the ketogenic diet asks is that you eat plenty of what many meat lovers already consider favorites – bacon and ham. However, while any diet that lets you eat ham and eggs for breakfast and dinner may seem too good to believe, the keto diet may have the unfortunate side effect of giving you a nasty case of bacon breath. When you start on the keto diet, you’re basically forcing the body to create molecules known as ketones. A specific type of ketone, referred as acetone, tends to be excreted through our urine and breath. Acetone has a fairly foul smell, and many people often compare it to rotten fruit. Since you’re cutting out carbs to increase your fat intake, thereby making better use of all the ketones your body is producing, your body must go through a transition as it begins to rely less on glucose for the fuel it needs. Fortunately, the bad breath associated with the keto diet is only temporary. Once your body becomes accustomed to relying on ketones for fuel, your bad breath should subside. The Paleo Diet, just at the keto diet, requires that you cut back on the amount of carbs you consume. But while the Paleo diet focuses on protein to help you bulk up, the side effects can be the same as with the keto diet – chronic bad breath. Compared to most Western diets, Paleo requires eating far more protein than most people typically consume, and high protein consumption has been linked to bad breath in some studies. The reason? Eating plenty of protein can cause the body to create an increased amount of ammonia, which can cause a foul smell to develop in the mouth. This odor is often described as being “fishy” or like “ammonia”. Ewe! To eliminate the bad breath that the Paleo Diet can cause, you need to substitute other paleo-friendly foods for some of the excess protein you’re eating. In fact, there’s a limit to how much protein your body can even successfully process, and continuing to eat more could potentially place a strain on your digestive organs. So instead of steak, try upping your intake of items like coconut oil, seeds, nuts, and olive oil. Do you experience frequent bouts of heartburn? Would the number of times you burp a day put Homer Simpson to shame? Do you feel any pain or discomfort in your stomach? If you’ve answered “yes” or “very” to these questions, you may be suffering from acid reflux. Acid reflux is caused when the esophagus becomes inflamed, and certain types of diets and lifestyle habits can make the condition worse. It can also cause bad breath due to the stomach acids that travel up the esophagus and into your mouth. Not only can acid reflux cause bad breath and heartburn, it can also cause your tooth enamel to erode. If you suspect you suffer from acid reflux, you should see a gastroenterologist to determine the cause of your condition. You can also try to limit the bouts of heartburn you experience by changing your diet. Avoid eating fast food, fried foods, and drinking too much coffee or alcohol. Cutting back on how frequently you eat can cause mood changes (ever hear of being hangry?). Surprisingly, being hungry can also contribute to the development of bad breath, as not eating for long periods can reduce the amount of saliva your mouth produces. This can lead to dry mouth. When your mouth becomes dry, bacteria that contributes to causing unpleasant smells has an easier time of multiplying. Being hungry also causes changes in the bacteria and enzymes your mouth produces, which can occasionally cause weird smells to develop. Even if you’re on a diet, make sure to drink plenty of water and to keep a few healthy snacks around just in case. The post The Underrated Importance of Saliva appeared first on Newberg Family Dental | Jennifer McLeod, DMD. Unless you’re a Newberg family dentist, you probably don’t spend much time thinking about saliva. While the saliva your mouth produces certainly doesn’t have much appeal, it does play an incredibly important role in helping to protect your long-term oral health. That’s because saliva acts as the body’s natural defense mechanism against plaque, which uses the sugars we consume to produce harmful acids that slowly erode away tooth enamel. Saliva works to wash plaque acids away from the surface of our teeth, thereby helping to lower our risk for tooth decay and gum disease. When your body starts to produce less saliva than normal, it just might be an indication of a more serious underlying condition. So that you can better appreciate the important role saliva plays in protecting your health, and better understand what potential problems you might be facing should your saliva flow start to stop, here are a few ways how saliva might reflect your overall health. You’ll probably be surprised to discover that the average person swallows roughly half a gallon of saliva each day. While this may seem a little disgusting, salvia fulfills several important functions. In addition to acting as a buffer that works to diffuse plaque acids, saliva also works to wash way foods particles and harmful oral bacteria from the mouth, thereby reducing the risk for gum disease. Saliva also contains a number of important digestive enzymes that make it easier for the body to process the foods we eat. If you suffer from dry mouth, feel frequently parched, or often wake up with a sore throat, you need to talk with Dr. McLeod about your risk for dry mouth during your next appointment. Dr. McLeod can help diagnosis the cause of your condition and offer treatment solutions that will help restore saliva flow back to normal. Oral thrush, an oral infection caused by an excess buildup of yeast, causes saliva to become cream or white-colored, and patchy. Thrush frequently builds up on the gums, tonsils, roof of the mouth, tongue, and inner cheeks. Oral thrush is caused by an excessive buildup of the fungus Candida albicans – which the mouth normally has but in lower levels – and is fairly common in seniors, infants, and people with a compromised immune system. Overuse of mouthwash, wearing dentures, smoking, and diabetes can also increase an individual’s risk for thrush. In recent years, a lot of exciting breakthroughs have begun to occur in the field of saliva testing. Researchers have identified saliva as a simple and effective way to collect a patient’s genetic information without having to rely on more invasive methods such as a blood sample. Not only is saliva easier to collect than blood, it can also be used to provide immediate assessments for doctors in the office or patients at home. Saliva contains many of the same biomarkers as blood. As saliva testing continues to improve, health care providers will be able to measure antibodies, hormones, electrolytes, and proteins. Saliva tests can even detect a patient’s glucose levels. Numerous studies have found links between oral health and diabetes, which can reduce saliva flow and cause dry mouth to develop. While discovering what genetic problems may lurk in the family tree used to require dusting off old photo albums and asking questions about distant relatives, saliva testing offers to soon make that all obsolete. The ability to provide a saliva sample at home, rather than travel to a lab to provide a blood sample, has enabled a number of exciting breakthroughs in at-home genetic testing. 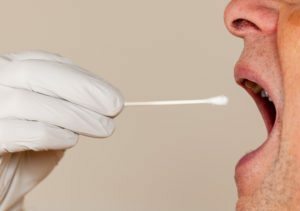 Whether it’s learning about the risk for Parkinson’s, Alzheimer’s, or another form of disease, saliva samples offer easy genetic testing that can help patients gain a better understanding of their health. 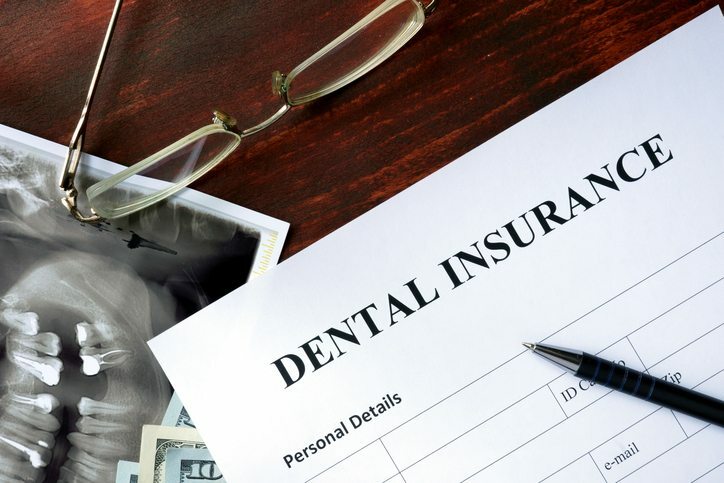 The post Don’t Let Your Dental Benefits Expire appeared first on Newberg Family Dental | Jennifer McLeod, DMD. The post Study Finds Links Between Oral Health and High Blood Pressure appeared first on Newberg Family Dental | Jennifer McLeod, DMD. The post The Healthiest Foods For Your Gums appeared first on Newberg Family Dental | Jennifer McLeod, DMD. At our family dental practice in Newberg, OR, Dr. McLeod stresses the need for her patients to take care of their oral health so they can lower their risk of dental disease and decay. Of course, looking after the health of your teeth in order to prevent tooth decay is only part of what it takes to practice quality oral hygiene. You also need to take care of your gums. Your gum tissue surrounds the base of your teeth to provide a protective seal around the delicate roots and nerves that keep your teeth healthy. When neglected, gum tissue can become inflamed and begin to recede from the base of your teeth. This allows harmful oral bacteria to attack the base of your teeth, leading to tooth sensitivity and tooth loss. Fortunately, by brushing and flossing daily you can eliminate the harmful bacteria in the mouth that can damage gum health. You can also add certain foods to your diet that may help you to have healthier, stronger gums. With that in mind, here are a few foods that help promote gum health that you can add to your diet. Apples offer a great source of fiber that acts as a cleansing agent. Apples also contain malic acid that increases saliva flow, which acts as nature’s toothbrush. Saliva works to flush food particles and bacteria from your mouth, so any type of food that increases the amount of saliva your mouth produces actually works to protect your oral health. Seeds and nuts are slightly abrasive in texture, and actually help to scrub the surface of your teeth clean of plaque when eaten. The omega-3 fatty acid found in flax seeds and walnuts has also been shown to help lower the risk of gum disease. Early stage gum disease – commonly known as gingivitis – causes the inflammation of gum tissue. When your gums become inflamed, they bleed easily, becoming sensitive and swollen. While gum disease has been linked to a variety of long-term oral and overall health problems, the disease starts off as a simple infection of your gum tissue. This is where eating foods rich in vitamin C – such as oranges, kale, red peppers, etc. – can help lower your risk of gum disease. Vitamin C helps to boost the body’s immune system, allowing it to better fight off infections like gingivitis. Not only will a diet high in vitamin C rich foods help improve your oral health, it will so also lower your risk of developing the types of colds and flu that become common as we move into the fall season. Much like vitamin C helps to improve the body’s immune system, vitamin D works to strengthen calcium deposits in the body, such as your bones and teeth. Milk, cheese, and fatty tuna are all types of foods high in vitamin D that work to strengthen your teeth while also restoring vital minerals that are stripped by plaque in a process known as remineralization. Milk also has the benefit of helping to neutralize acid levels in the mouth. Your mouth requires a balanced pH level to enjoy the best health possible. Drinking milk works to restore this balance after eating highly acidic foods – such as some of those rich in vitamin C – which makes a glass a day a perfect complement to your diet. Cranberries are considered by many nutritionists as one of the healthiest foods around. Not only have cranberries been shown to help fight inflammation, they also contain antioxidants called proanthocyanidins that prevent plaque and other harmful oral bacteria from sticking to the surface of your teeth. Just make sure that you thoroughly rinse your mouth after eating dry cranberries to remove any lingering bits that might be stuck to your teeth. Thyme oil has been shown to successfully lower your risk of tooth decay, gingivitis, and even bad breath. That’s because thyme oil has natural antibacterial and antiseptic properties that allow it to kill harmful oral bacteria. Thymol, an active component in thyme oil, is actually used in some types of dental varnishes that help to protect teeth from the effects of decay. So there you go. 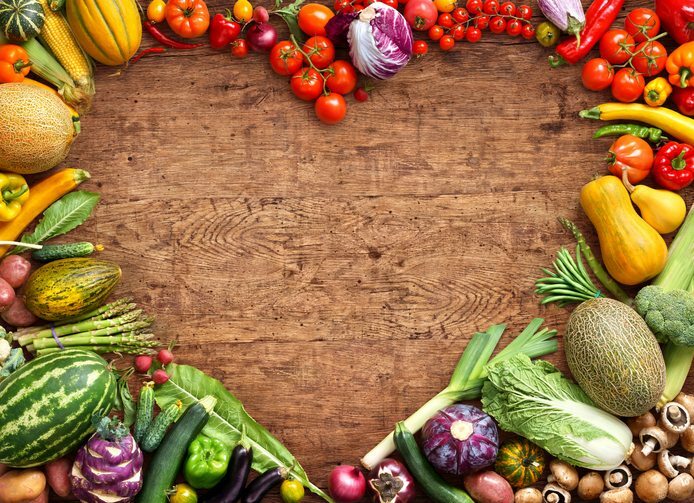 Adding any of these foods to your diet will not only help to improve the health your teeth and gums, but will also help to improve your overall health as well. If you have any questions about the types of foods best suited to helping protect your oral health, feel free to ask Dr. McLeod during your next visit to our family dental practice in Newberg, OR. The post Study Finds Treatment for Gum Disease Lowers Risk of Heart Disease appeared first on Newberg Family Dental | Jennifer McLeod, DMD. When it comes to receiving quality dental care in Newberg, Oregon, it’s become clear that what happens in our mouths greatly impacts our bodies as a whole. As more research continues to explore the connection between mouth and body, studies have found a number of chronic health conditions that have direct links to oral disease. In recent years, researchers have found compelling links between gum disease and such health conditions as heart disease, obesity, diabetes, stroke and cancer. Considering these links, it’s not surprising researchers have now begun to discover that treatments for gum disease could also potentially reduce the risk of other chronic health conditions. According to researchers at the University of Sydney, a routine non-surgical gum disease treatment can greatly reduce the thickness of arterial walls in the heart, a known risk factor for heart disease. An innovative study never before attempted among Aboriginal Australians, these findings may offer a significant degree of hope among Aborigines, who typically suffer from poor oral health and high rates of cardiovascular disease, and other high risk groups. Published recently in the journal Hypertension, the study found a significant decrease in the thickness of carotid arterial walls after just one session of gum disease treatment. The study suggests that a non-surgical periodontal therapy offers the chance to significantly reduce the thickening of carotid arterial walls in just a one-year period. The size of the reduction in arterial wall thickness in the treatment group involved in the study, versus that of the control group, was similar to what other additional studies have noted in other high risk groups. The results of the gum disease treatment is similar to a 30 percent decrease in low-density lipoprotein cholesterol – typically referred to as “bad” cholesterol – which is known to decrease the risk of heart disease, according to researchers. The study was inspired by growing research that indicates a causative relationship between atherosclerotic vascular disease and periodontal (gum) disease, and ranks as one of the first to investigate whether treatment for periodontal disease may have any effect on the risk of heart disease using a randomized trial. An inflammatory disease, periodontal disease attacks the hard and soft tissue and bone structures that support teeth. During the disease’s early stages, the gums become swollen and red due to the effects of inflammation, which is how the body naturally responds to the presence of harmful bacteria. During the most serious stage of the disease (periodontitis), the gums begin to recede away from the base teeth and the supporting tissues are destroyed. Bone erodes away, and teeth begin to loosen or eventually fall out. Atherosclerosis ranks as the most frequent cause of strokes, heart attacks, and peripheral vascular disease – commonly known as cardiovascular disease. The condition typically causes no visible signs or symptoms until middle or old age but as the hardening and narrowing of arteries continues, blood flow is slowed, which results in pain and additional potentially life-threatening complications. Despite the reduction in arterial wall thickness, the study found no evidence that the gum disease treatment had any effect on arterial stiffness, another known risk factor for cardiovascular disease. While future studies may help to determine whether more aggressive forms to gum disease treatment may improve arterial stiffness, researchers are excited and hopeful about what this latest discovery could mean for the health of millions of people around the world that suffer from an increased risk of heart disease. At when it comes to giving her patients the kind of quality dental care in Newberg, Oregon they deserve, Dr. McLeod strives to not only protect the long-term health of our patients’ teeth and gums but to help improve their overall health as well. What studies like these tell us is that what happens to our oral health matters, and could serve as an indication of what our overall health may be like in the future. To protect, maintain, and improve your oral and overall health, it’s imperative you schedule regular exams and cleanings. Exams provide Dr. McLeod with the opportunity to spot the early signs of dental disease while still easily treatable and reversible. Regular cleanings allow our team of gentle dental hygienists with the chance to remove plaque from the surface of your teeth and along the gum line before decay and gum disease can develop. While you might not always enjoy visiting the dentist, know that every appointment at Newberg Family Dental helps to improve your health now and into the future. The post E-Cigarettes Use Finally on the Decline Among Kids appeared first on Newberg Family Dental | Jennifer McLeod, DMD. Your Newberg dentist always takes the time to remind patients just how dangerous smoking is to their long-term oral health. Not only does smoking increase the risk of oral cancer and tooth loss, the habit also contributes to chronic bad breath, an increased risk of gum disease, and tooth discoloration. Fortunately, over the last 30 years the number of adult smokers has continued to drop. While smoking cigarettes has been on the decline in teens, the number of kids who try e-cigarettes had continued to rise – until recently. The number of middle and high school students who use e-cigarettes has decreased for the first time, according to a study conducted by the Centers for Disease Control and Prevention. The use of e-cigarettes among teens has only been tracked since 2011. This latest study not only shows a drop in e-cig use, but also in tobacco use as a whole. The new study analyzed the results provided by the National Youth Tobacco Surveys collected between the years of 2011 to 2016. These annual surveys are taken by middle and high school students in the U.S. who voluntarily complete the questionnaire regarding their personal behavior over the last 30 days. The study found that between 2015 to 2016, the number of high school kids using e-cigarettes, along with cigarettes, cigars, and hookahs, has dropped. The number of middle school kids trying e-cigarettes has also dropped as well. While the results of this latest study show a decline between 2015 to 2016, there wasn’t an overall decrease in tobacco product use between 2011 to 2016. That’s due to more kids and teens having started using e-cigarettes and hookahs over the past five years, reported researchers. And that still means 20 percent of surveyed high school students and 7 percent of surveyed middle school students are still using tobacco products in 2016. Even though the total number of kids using tobacco products has yet to drop, the decline in usage over the last 2 years is still reason for optimism. The CDC attributes the drop in teen tobacco use to strategies that aim to control and prevent tobacco use. These include the Food and Drug Administration’s well-known education campaign The Real Cost, which includes T.V. ads that show the impact tobacco use can have on the body. Other policies have included restricting youth access to tobacco in stores and the implementation of smoke-free policies. The health consequences linked with tobacco use – and most recently e-cigs – remain clear. In December, then U.S. Surgeon General Dr. Vivek Murthy issued a report that covered the adverse health consequences of e-cigarette use. “Compared with older adults, the brain of youth and young adults is more vulnerable to the negative consequences of nicotine exposure,” wrote Dr. Murthy. Because the adolescent brain is still developing, young adults can be especially at risk of the long-term effects of e-cigs on the brain. Nicotine addiction, mood disorders, and permanent lowering of impulse control are just a few of the long-term effects determined by researchers. Some evidence even suggests that e-cig use can also lead to young adults to try other form of tobacco, alcohol, and drugs. Recent studies have also found the e-cig use can also negatively impact a user’s oral health in much the same way as cigarettes use. 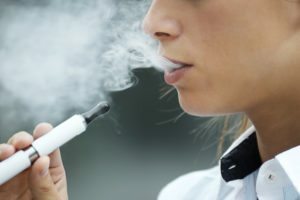 Your Newberg dentist worries that just because e-cigs have the reputation of being safer for users, that many will not consider the health risks linked to their use. Even with a noted decrease in e-cig use among teens, public health experts want to make sure that rates continue to plummet. The post Fewer Patients Missing Work Due to Oral Health Problems appeared first on Newberg Family Dental | Jennifer McLeod, DMD. At your Newberg family dental practice, Dr. McLeod understands that taking time off of work or away from school to visit the dentist can be a big burden on our patient’s already busy schedules. That’s why we offer flexible scheduling to make it easier for our patients to find a time convenient for them to receive the outstanding dental care they need to enjoy a great looking and healthy smile for a lifetime. Of course, one of the easiest and most effective ways of having to avoid an unexpected trip to the dentist is by regularly seeing Dr. McLeod. Regular preventative dental care helps to lower your risk of the dental decay and disease that causes cavities, toothaches, and other types of oral health problems that require immediate attention. If you need proof that preventative dentistry offers the best path to fewer visits to our Newberg family dental practice, consider that fewer adults are having to skip work due to dental appointments, toothaches, and other oral health problems, according to a new Delta Dental survey of over 1,100 working Americans over the age of 18. In 2015, 28 percent of working adults had to miss work due to an oral health issue, a number that dripped to 21 percent in 2016. Millennials, the demographic that usually reports the most amount of time missing work due to issues related to their oral health, have seen a decline from 40 percent reporting having missed time in 2015 to 33 percent in 2016. And while men still miss more work (25 percent) when compared to women (17 percent) due to oral health issues, both of those numbers were actually down when compared to 2015 when 29 percent men and 26 percent women missed work. Consider keeping a toothpaste, floss, and a toothbrush at your desk at work so you can maintain your oral hygiene after lunch. Choose healthy snacks like carrot sticks or nuts as an afternoon snack rather than something from the vending machine like soda, candy bars, or chips. Drink plenty of water throughout the afternoon to keep hydrated and to avoid consuming sugary beverages. Excess stress can cause you to unconsciously grind your teeth, with work related stress being the most frequent cause of teeth grinding. If you start to feel stressed at work, take a minutes to clear your mind, take slow, relaxing breaths, and try to relax. These simple steps – when combined with regular brushing, flossing, and scheduled appointments at our Newberg family dental practice – are all you need to keep your oral health strong enough that you can enjoy a lifetime of healthy teeth and gums.